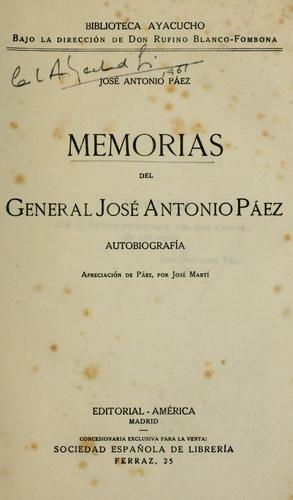 Are you sure you want to remove Memorias del general José Antonio Páez from your list? 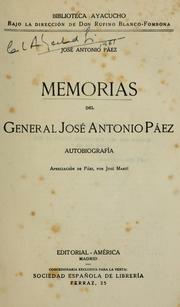 This is the memoir of one of the main actors of the independence of South America, perhaps only second to Bolivar. He was the first president of Venezuela and a legendary warrior. June 11, 2010 Edited by 186.68.86.198 Edited without comment.